Now available online, new Gilda Midani. 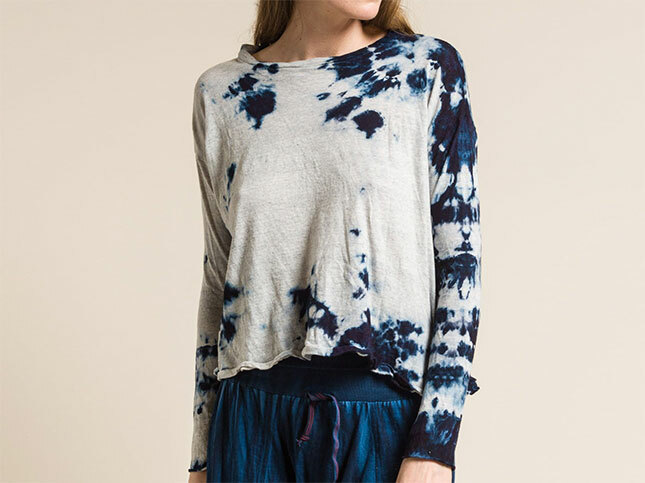 The collection of natural hand-dyed clothing colors are cobalt blue, maroon red, grey, and charcoal in dye patterns similar to marble and floral prints. The line is sold online and in Workshop on the Plaza in Santa Fe, New Mexico.